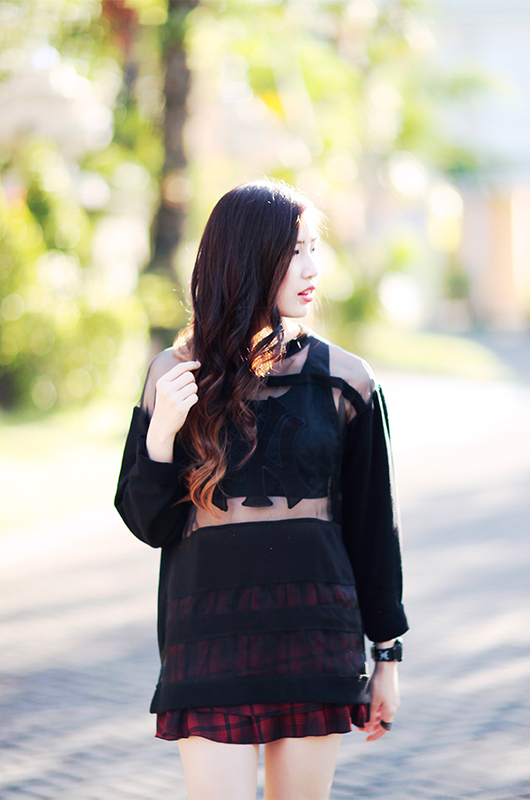 I got this black and sheer panelled sweater from Shibuya 109 in Tokyo, Japan. I always love that place. They sell many fashion items in various style. Even though most of the stores in there sells cute fashion, I'm happy enough that they also have few stores that sell sporty and boyish fashion too. I matched the sweater with short checkered skirt, which I also bought in Japan as well. The red and black checkered reminds me of grunge fashion. Lastly, I wore my Underground creepers to complete the look. Tell me what you think about this look! so grunge nd love it!